Check out these new and used BB King vinyl records LPs for sale. BB King is widely considered one of the most important blues musicians in the history of music, and he was inducted into the Rock ‘N’ Roll Hall of Fame in 1987. He was born in Mississippi and first found music and guitar while attending church as a child. His musical career started as a disc jockey in Memphis before discovering his natural talent as a guitarist. King cut his first record in 1949 and spent the next several decades constantly recording and touring. He developed an intricate method of playing solos that involved fluid string bending and signature shimmery vibrato which has influenced every modern blues guitarist. 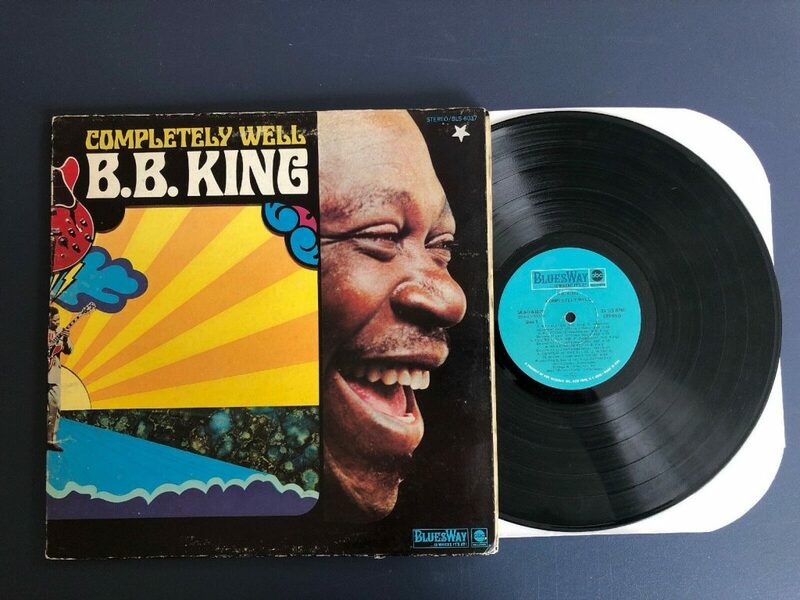 There are many BB King albums out there, but we recommend starting at the beginning with Singin’ the Blues from 1956 and King of the Blues from 1960.